Former Southern Command head and Housing Minister Yoav Galant awarded prize for contributions to Judea and Samaria. 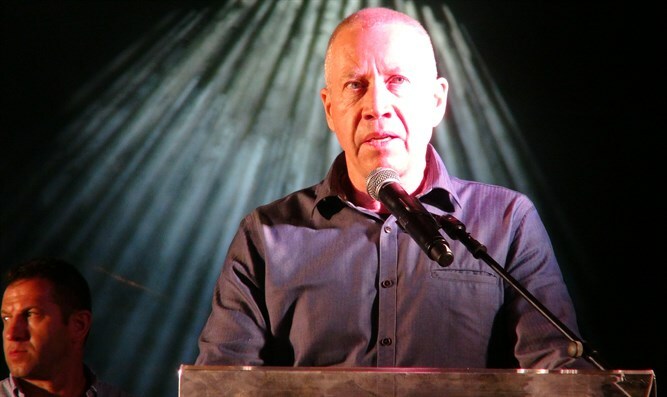 Housing Minister Yoav Galant (Kulanu) was awarded a prize by Binyamin Regional Council Head Shai Alon for his role in developing Judea and Samaria. The award was presented to Galant at an Ishay Ribo and Ehud Banai concert in Bet El that was attended by tens of thousands of people. During his acceptance speech, Galant praised Judea and Samaria residents and said that their presence in the area was contributing to Israel's security. "It is necessary to say in a loud and clear voice. The realization of Zionism in the Land of Israel is the settlement in Judea, Samaria, the Jordan Valley, the Arava, the Negev and the Galilee. Wherever there is a settlement and there will be security, " said Galant. "This is the formula that has been proven by Zionism over the last 120 years and especially the last 50," added Galant. "The settlers in Judea and Samaria are an expression and a symbol of the success of the Zionist enterprise, and we see it with the Israeli and in the IDF."